Chimeric press is dedicated to helping schools and other organizations meet their financial goals for special projects. Selling books is an educationally sound way to raise money for any organization, and emphasizes to the customer the organizations core values. 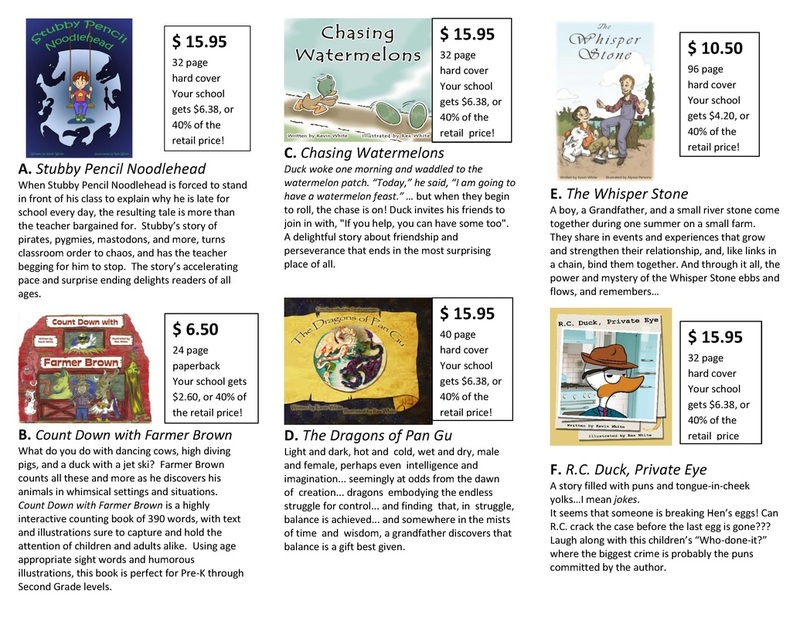 The books are high quality and sell at regular retail price between $6.50 and $15.95 each. All the titles will be "new" for most readers, as Chimeric Press opts for a very small presence in retail stores. We chose, instead, to create a business model that supports kids, not corporations. As evidence of that, the selling organization will keep 40% of the cover price for each book they sell, regardless of the number of books sold. We do not wish to hamper your fund raising capacity by implementing sliding scales for returns. 40% guaranteed! All books will be signed editions by the author and illustrator (author only for The Whisper Stone) as a way of increasing sale-ability for the organization. You take orders and collect money. 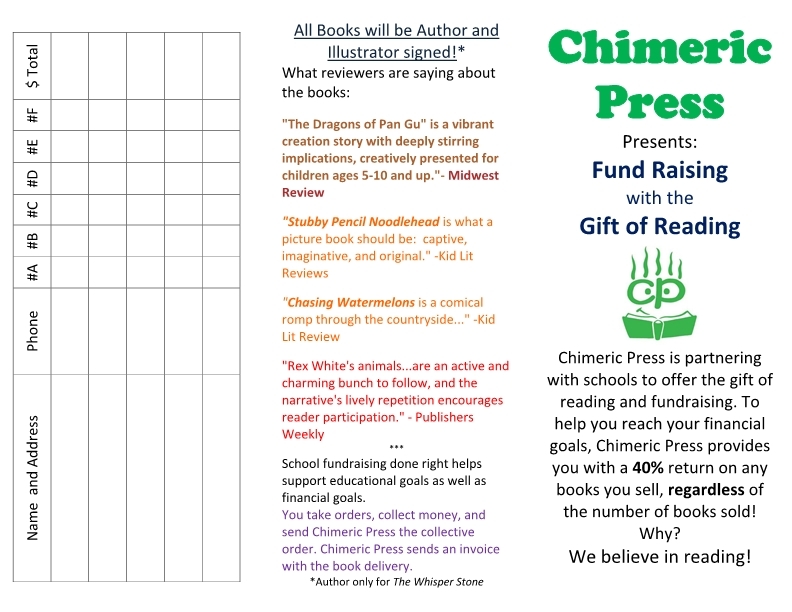 Then you send a compiled order to Chimeric Press (you keep the original order forms for distribution) and we will send you your order within two weeks, along with an invoice for our portion of the revenue collected by your organization. You pay the invoice, keeping 40%, and deliver the books to the customer! Contact us for a sales kit today!